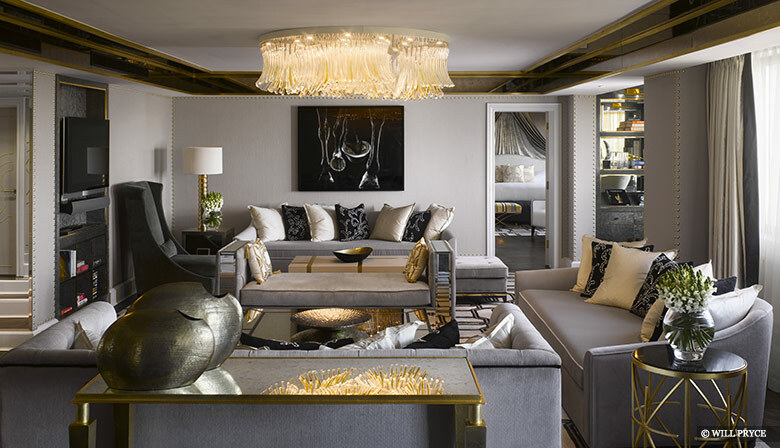 This luxury guide to lighting will take you through a variety of different lighting types and provide expert ideas on how to style the lighting in your home interior. First thing’s first, there are two main types of lighting which everyone could do with knowing a little more about – natural light and artificial light. Sunlight is the most natural light source there is. It’s mentally stimulating and absolutely free. But it’s also difficult to control. Light will differ wherever you live – for example, light in the north is much cooler than equatorial sunlight – and the direction your room is facing. The time of day and seasons also affect the amount of natural light a room has. Window coverings are helpful in controlling natural light. 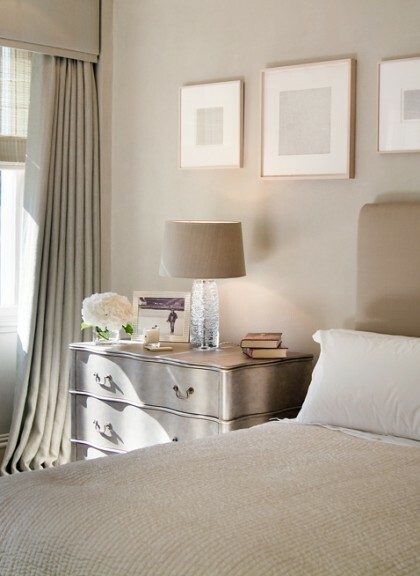 For rooms with little natural light, interior designer Sara Cosgrove suggests that “sheers and window treatments are the most effective ways for controlling natural light, along with the use of mirrors.” Mirrored furniture (like the Carina bedside cabinet above) also works well and offers storage space too. For rooms flooded with natural light, this can be controlled by the use of lined drapes in thicker fabrics. There is also the issue of glare which has to be addressed – a room which is too bright can look flat and cold. Including an alterable window treatment (like slat, venetian, louver or roman blinds) or plantation shutters are helpful in controlling sunlight and preventing glare without disrupting the aesthetic of your window. Combustion light (i.e. candle and firelight) are extremely atmospheric sources of natural light and shouldn’t be forgotten. See how the seating area of this chalet reception area by Inge Moore (of The Gallery HBA) is made even more inviting with the addition of a roaring fire. Statuesque tapers placed in elegant candlesticks or candelabra are beautiful when placed on either end of a mantlepiece or a formal dining table. For a more casual look, hurricanes or lanterns are an easy way to enjoy the warm glow of candlelight indoors or outdoors. Artificial lighting should be used to add layers to your space. 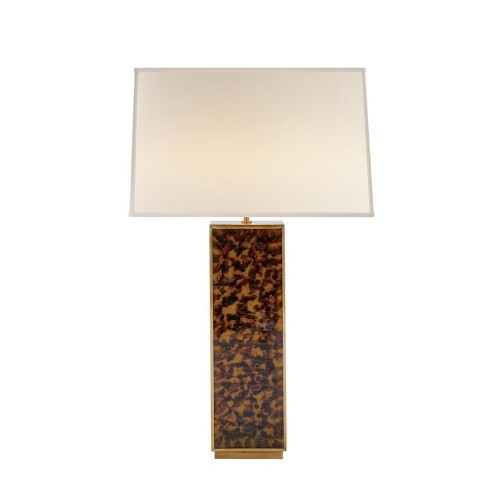 A warm light (opposed to a clear light) is the most welcoming option for residential spaces. As well as adding to the overall interior design style of a space, artificial lighting can be used to highlight features, create zones and alter the perceived proportions of a room. Always bear in mind the five lighting categories (below) when planning your lighting scheme. Think about where you you need what, how you plan to use your space and use a range of lighting effects to create the desired look. The five main types of interior lighting are: general, ambient, mood, task and accent. Some lights can fit into a few types (depending on their placement, brightness and use) but a general understanding of each individual type of lighting can be very helpful in planning an effective scheme. General lighting is the basic foundation of a lighting scheme, providing a uniform glow over an entire room and illuminating a space functionally rather than for aesthetic reasons. The defining characteristic of general lighting is that it’s usually direct and should be controlled by a dimmer switch to account for changes in daylight. 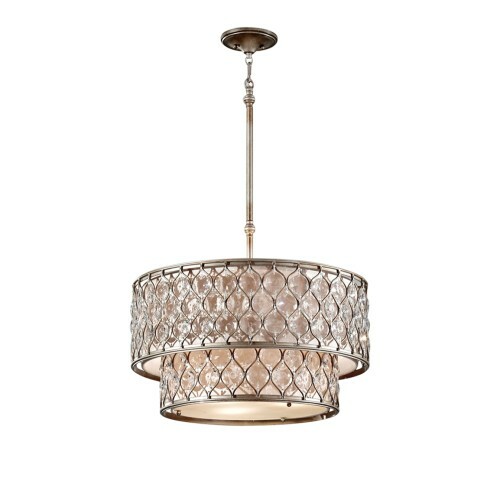 A central pendant light is perhaps the most commonly used source of general lighting and can be an important part of the design of the room. A luxury chandelier or an artistic installation both make great visual statements in a room and direct the eye. Having said that, these must be accompanied by other lighting layers as a central light source on its own casts unflattering shadows (especially for people) and gives no real life to a room. A lighting scheme this simplified is generally considered vastly inadequate for creating a welcoming space. Ambient lighting is indirect and therefore softer than general lighting – because it doesn’t usually use downlighting, it doesn’t create unflattering shadows. 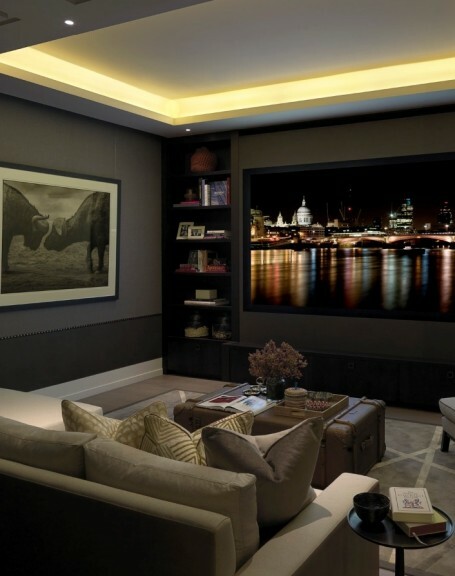 Think of eyeball spotlights or wall sconces which wash a wall with light, backlit perspex panelling or concealed coffer lighting which throws light onto a ceiling like this cinema room by Finchatton, left. The ambient lighting used here is also an example of architectural lighting which is often used to alter the appearance or size of a space. Without it, this windowless room would be terribly dark and feel very confining. As its name would suggest task lighting is any light source used for a particular task like reading or cooking. By nature, these lights need to have a stronger wattage than most other lighting. Always combine with adequate ambient light, however, to avoid eye strain caused by the sharp contrast from light to dark areas. Reading and working areas (like this home office by Intarya) are some of the most obvious areas in need of task lighting. 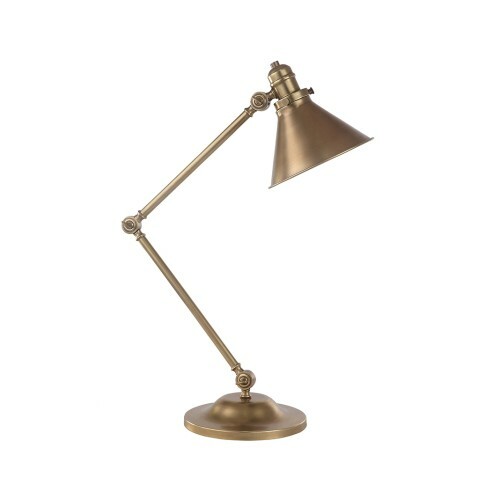 Balanced-arm lamps make great desk designs whilst flexible reading lights fixed near a headboard are great for bedtime reading. Mirror lighting works well in personal grooming areas and bathrooms. The kitchen is another area into which task lighting must be incorporated to make food preparation easier and safer. Under-cabinet spotlights, recessed downlights over worktops or a long and low pendant light over a preparation island are just a few of the options for kitchen task lighting. Task lighting can also be used to create foot flow paths in a room or hallway or in the form of floor-level directional lights or riser lights on stairs. Mood lighting is as important to the overall look of a room than general and ambient lighting and a space would be bare without it. It makes a room pleasantly inviting by creating pools of light which counteract the shadows caused by general lighting. 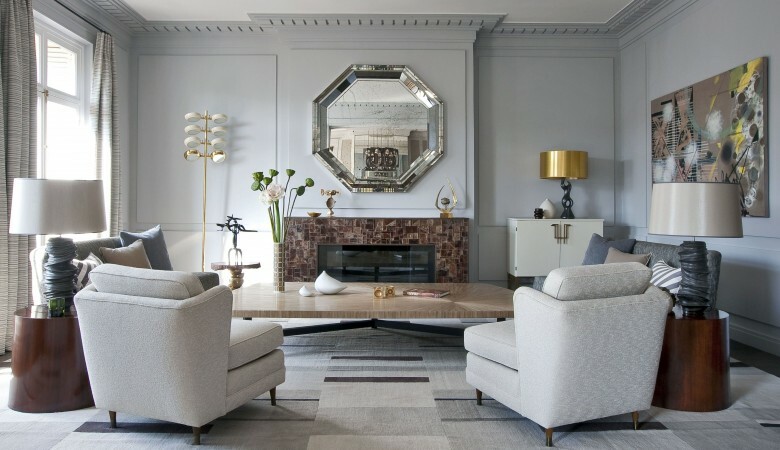 It’s also an important element of a room’s style as it tends to be equally concerned with style as it is with function – popular options being table lamps and floor lamps as seen in this Parisian living room design by Jean-Louis Deniot. For table lamps, a solid side table or console is preferable otherwise it can be tricky to conceal the wires. Thread wires though a discreet hole drilled into the surface or tape or staple them down a leg. Keep plug sockets close to where your lamps will be situated – another good reason to leave your electrical planning until nearer the end of your designing. Where once tungsten filament bulbs were the most popular choice, halogen and LEDs are the modern-day replacements for the now near-banned predecessor due to their cost and energy efficiency. Opt for a lower wattage for mood lighting – unlike task lighting, high wattage bulbs are too harsh and not appropriate. Higher wattage bulbs also need a large shade to provide enough space between the bulb and the material. There are lots of other considerations when it comes to shades too. Hardware should always be covered by a shade – unsightly hardware look silly and ruins the aesthetic. Textures can also alter the look of a lamp especially when lit – for example, rougher linen designs will create a different light than a glossy satin shade. If the light in your room relies heavily on mood lighting, paler tones are best to allow as much light to shine through; a darker shade is great if you’re going for a moody, atmospheric look. Silver or gold linings are the best for replicating a luxurious glow. Similar to task lighting, accent lighting has a particular function and is any lighting which has specifically been included to highlight a particular feature in a room. Spotlights which highlight artwork, sculptures and objets in cabinets or on pedestals are examples of accent lighting which enhance the pieces and prevent them from being lost in an under-illuminated space. Similar to task lighting, because of its nature, accent lighting needs more lumens (the light output) – at least three times as much – and therefore requires a higher wattage. Sometimes architectural lighting can be included in accent lighting as well as ambient lighting. Accent architectural lighting tends to be a little more subtle, however, highlighting textures and defining perimeters instead of a specific object. Downlighting is a very useful and most popular form of lighting in interiors – most central light sources or spotlights will be downlights. It does cast unflattering shadows (especially for people) so it needs to be counterbalanced with adequate ambient lighting. Uplighting is a much softer alternative to downlighting as it indirectly introduces light into a room by having it bounce off the ceiling and reflect back into the room. Wall washing evenly illuminates a vertical surface in a soft way. Place the light at an adequate distance so that the beam reaches the entire surface. 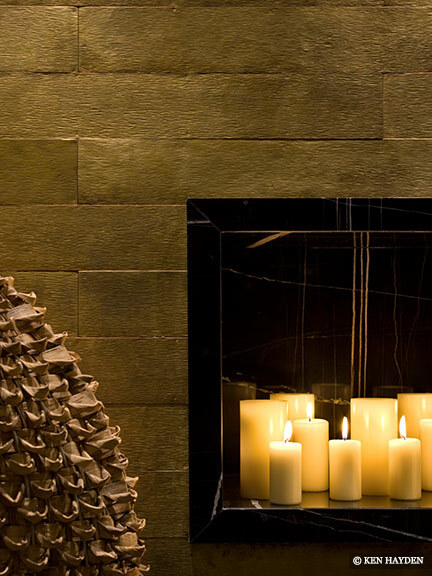 Wall grazing places a light intentionally close to the surface it’s to illuminate, effectively highlighting its texture. Spotlighting is used a lot in task and accent lighting to highlight a particular feature of a room. 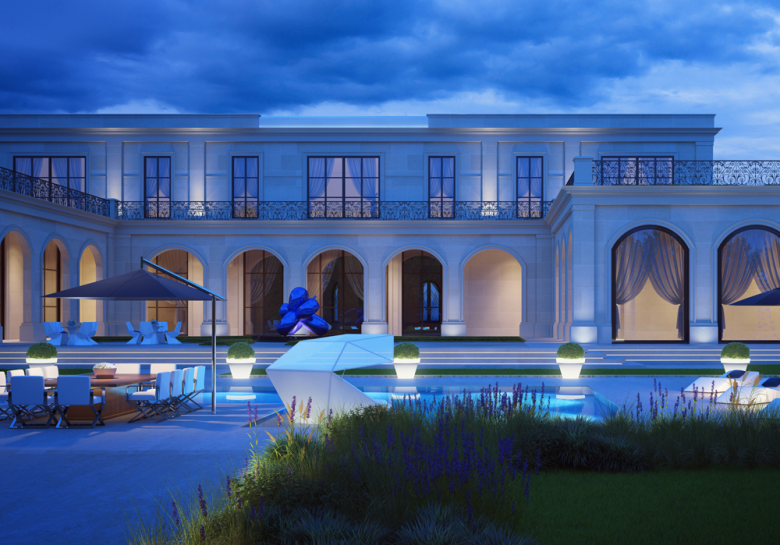 Perimeter lighting accentuates the dimensions of a room and expands its apparent size. Coving or cornice lighting is an effective way to do this and is used often by interior designers and architects. DO Think of what your room will be used for and what furniture will be included in it – certain pieces will require specific lighting. DO Incorporate a dimmer system in your lighting design – it allows your lighting to be responsive. DO Consider the relationship between rooms when planning a lighting scheme – sharp changes from bright to dark can cause disorientation and eye fatigue. 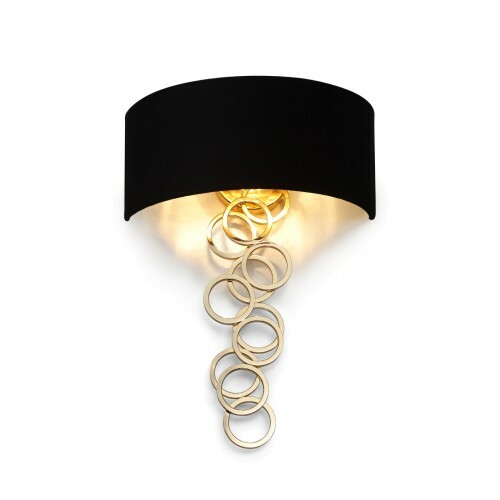 DO Place wall lights on shorter walls – this will balance out your room and take attention away from long walls. DO Pay attention to the lining of a shade – the thickness and colour of the lining will affect the light emitted. DO Think carefully about wattage – 60- or 75-watt bulbs are too bright for mood lighting. A 40-watt bulb is much more inviting. DO Always conceal a bare light bulb with a diffuser. DON’T Stick to one central light source because it causes unflattering shadows – a layered scheme is essential. DON’T Scrimp on outlets – there’s nothing worse than having to use an unsightly extension cord. DON’T Leave wires on show – this results in an untidy look which spoils the overall aesthetic of your interior.